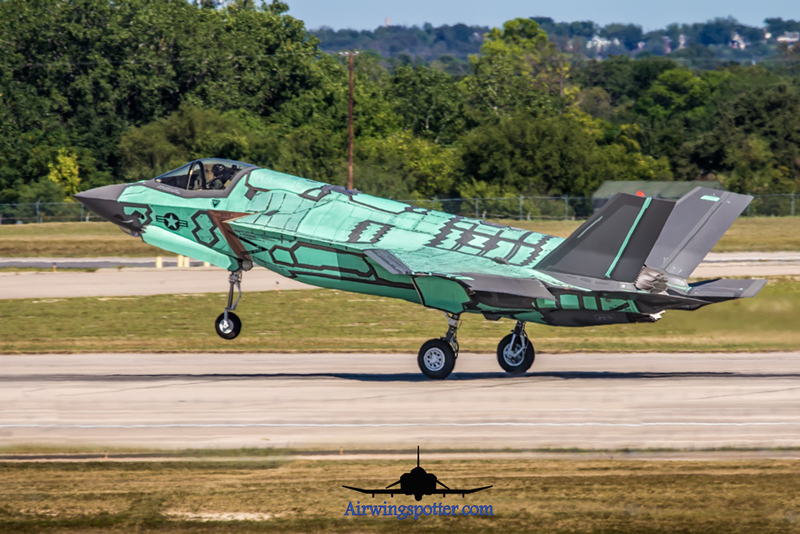 DFW got its dry Spell broken on Friday with a soaking rain….. Sat came out to be a perfect Blue sky sunshine day in the 80s. 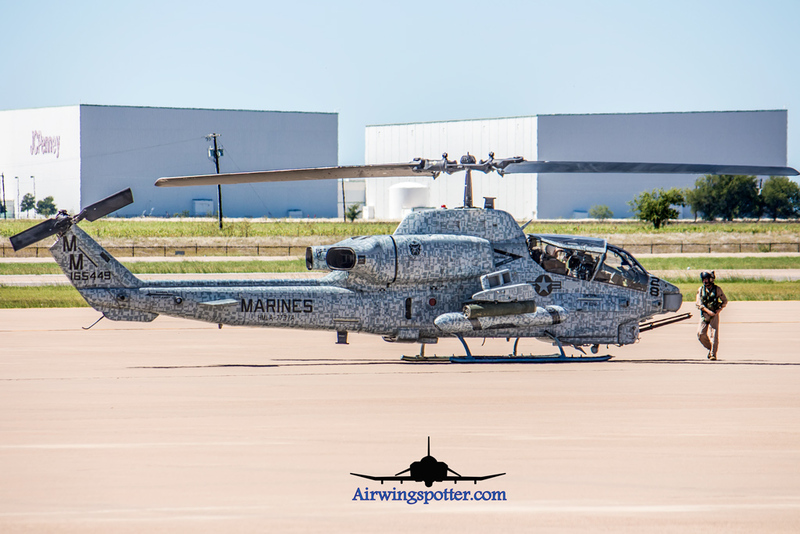 Decided to check out with Steve and was text with a AH-1W with Digital pattern in KAFW Alliance Airport. 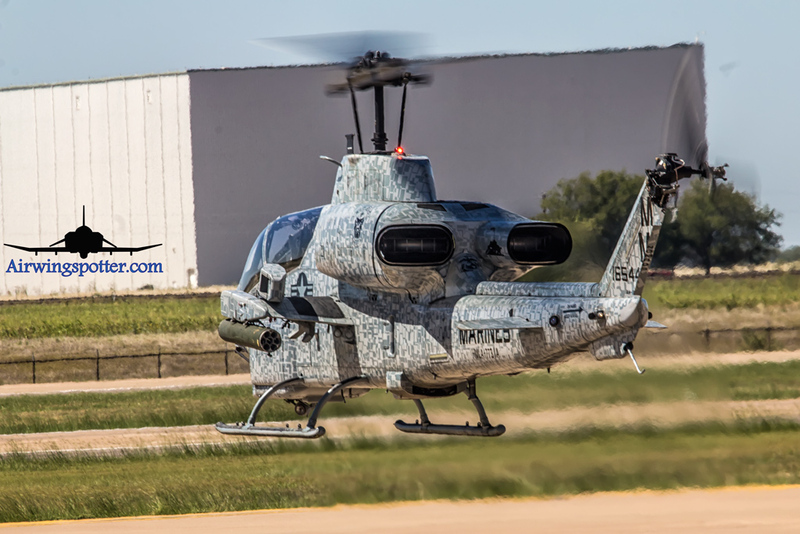 Made the 1 hr trip to KAFW and was greeted with the Digital CAmo AH-1W. 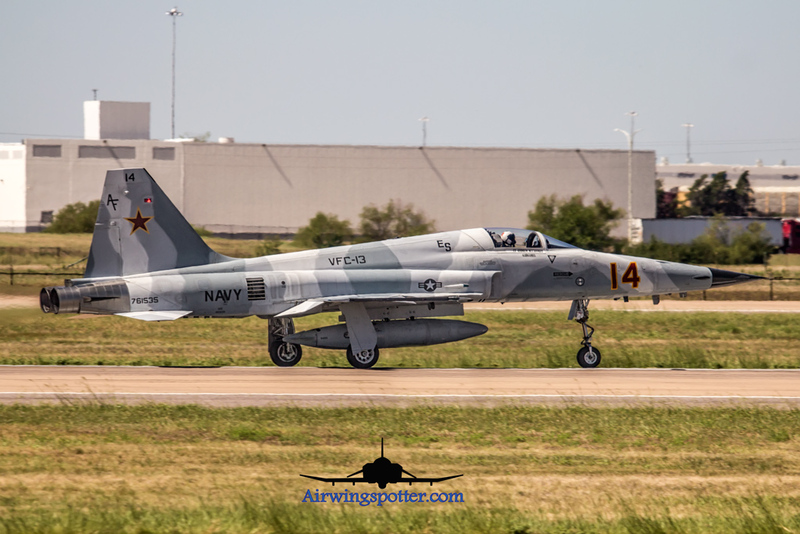 Was happy to see a VFC-13 F-5n in the tarmac. The pilot was loading up , canopy open and ready to leave. I got my ladder and was out shooting what I can. 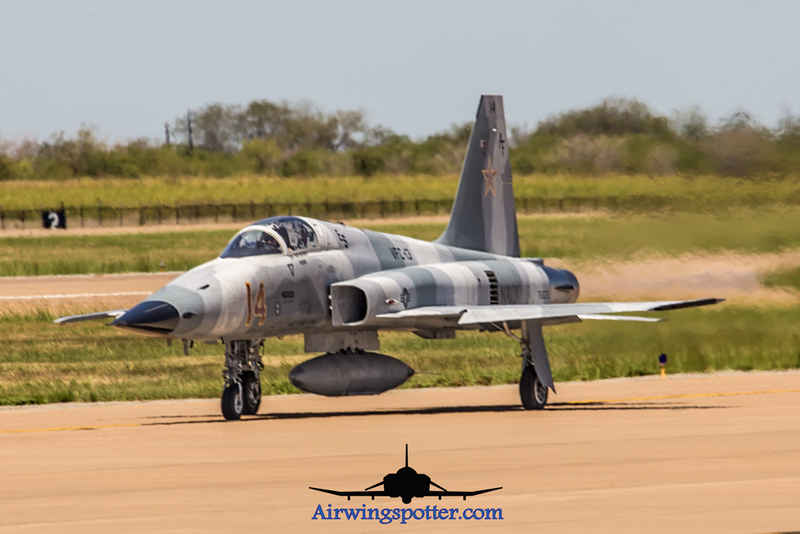 SUng showed up about the same time and we decided to head out to the other spot to shoot the taxiing and take off of the F-5. She taxi by and did the 35R runway. 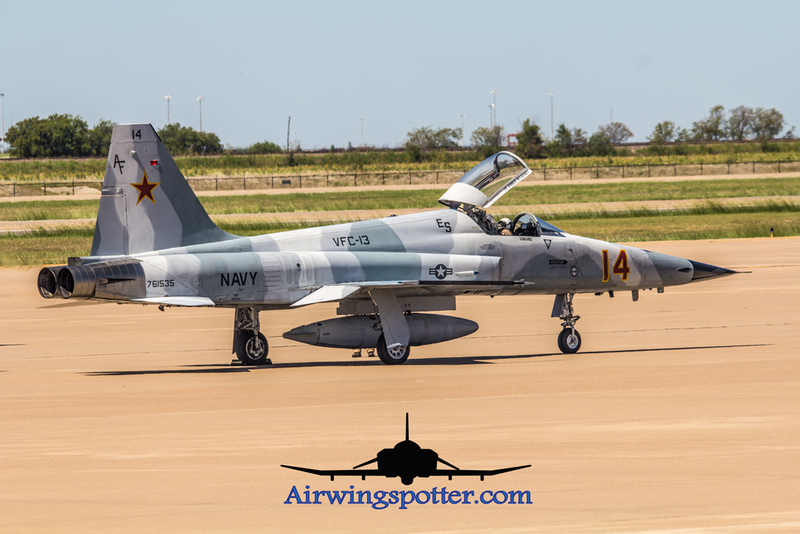 BAck to the tower area to photograph the Cobra.. Also 2 T-38C from Laughin AFB and 2 T-6 . 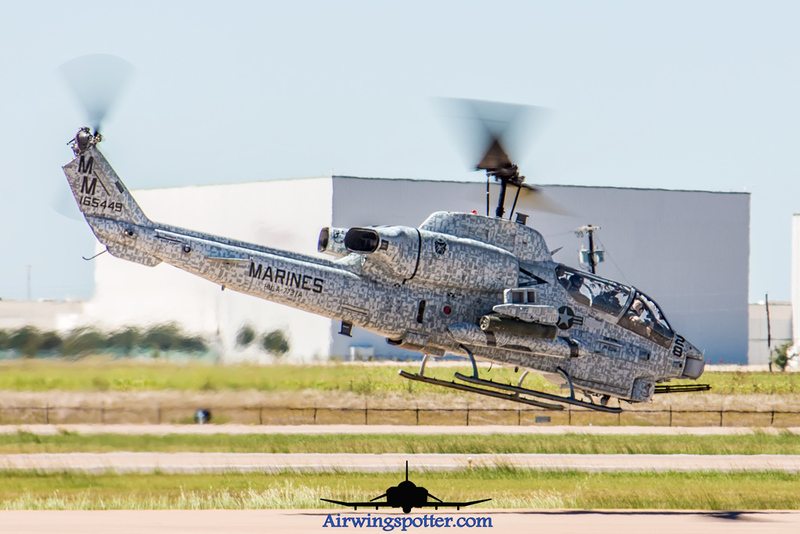 The AH-1W was pretty much ready to move out.. Steve Gurley and Sebby showed up when the gracious Cobra was taking off. 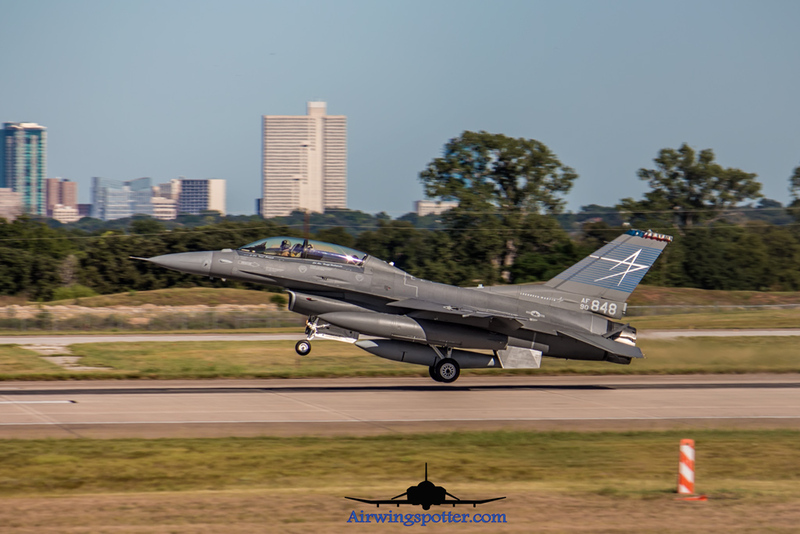 We were told of Lighting 11 taking off at 1430hrs and we made that short drive to NAS Ft worth by the loop. 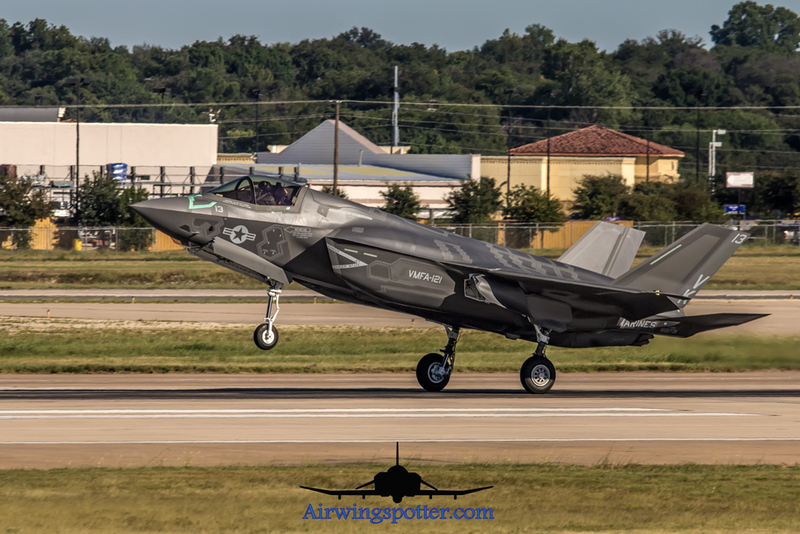 We miss the F35 take off due to traffic jam by I35….caught lighting 11 and 12 came back to land on 35 and than another F35B VMFA-121 took off with spotter. Waited till 1650hrs for their landing. We got news on FLighaware that a AN124 coming in to land in KAFW at 1900hrs .. decided to pass on her since she was delayed like an hour and a half. …. will catch her another day…. 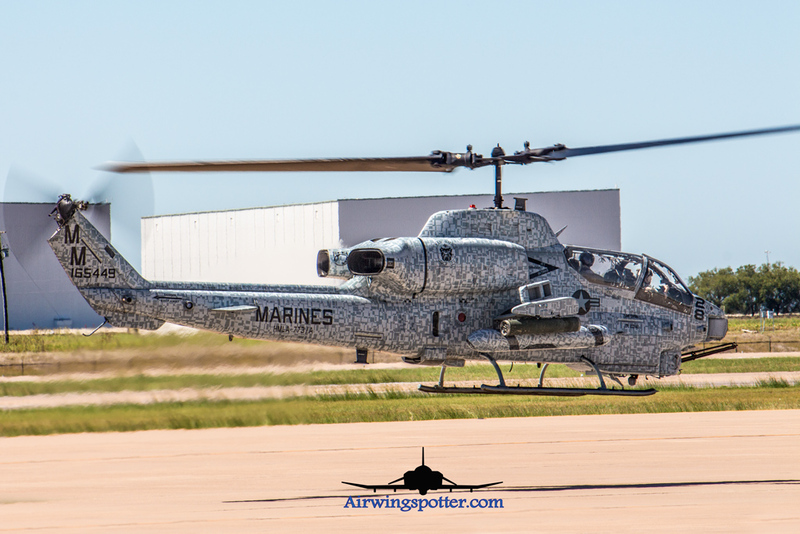 Overall great spotting day with Steve Gurley, Sebby and Sung.. lucked out on the VFC-13 F-5n , 2 F35 and the Cobra …. best of all great company with good friends. 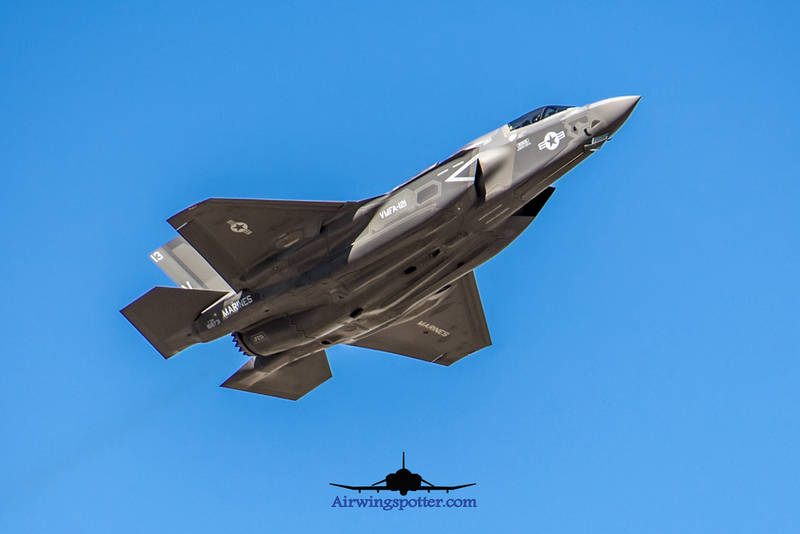 Pictures and Video coming soon…. 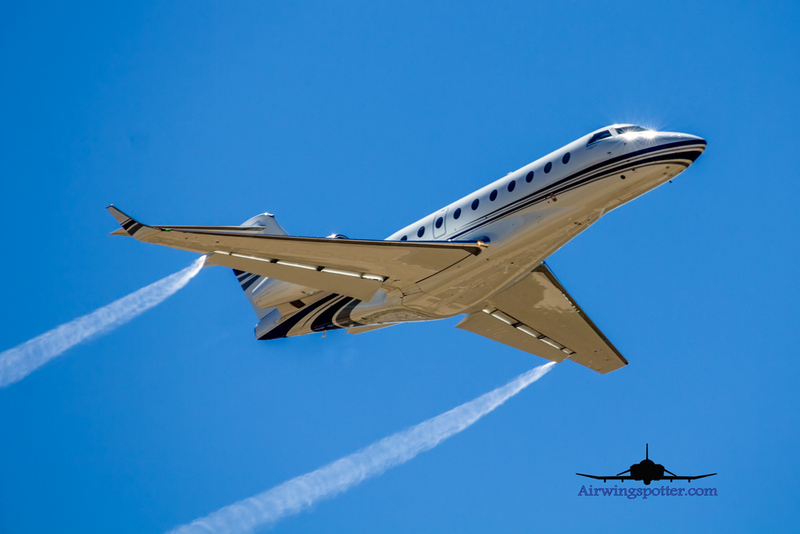 Great catch on the Saints jet. Love that scheme. 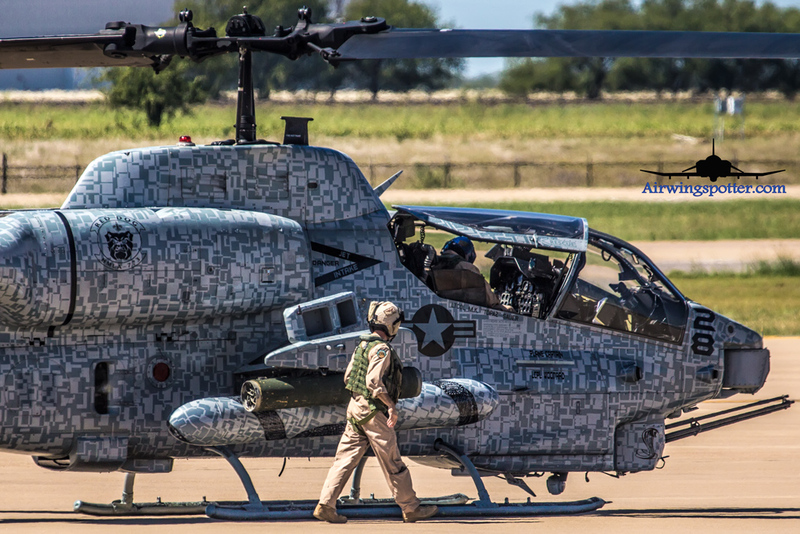 Hope to see your digital Cobra pics soon.